After a period of waffling between which Margot Robbie star vehicle to make next, DC is moving forward with an untitled female superhero ensemble project that’s most likely the Birds Of Prey movie, as Deadline reports. 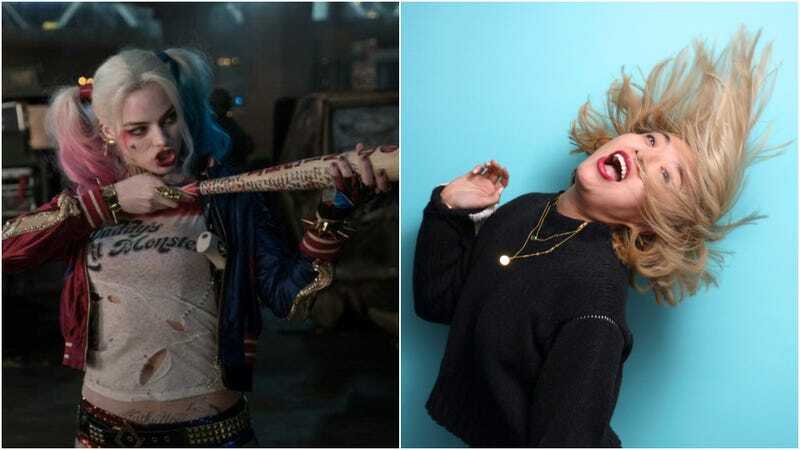 That film was previously thought to be scrapped in favor of the David Ayer-directed Gotham City Sirens, but Ayer’s project was conspicuously absent, and Birds Of Prey back on, in a The Wrap report on upcoming Harley Quinn projects back in January. And the studio has decided to take a chance on a relative newcomer to direct the film: Chinese-American director Cathy Yan, whose debut feature, Dead Pigs, just premiered at the Sundance Film Festival earlier this year. Yan, who was born in China and got her start as a reporter for the Los Angeles Times and The Wall Street Journal, went back to Shanghai to film her debut after reading a newspaper article about more than 16,000 dead pigs found floating in the Jiapingtang River. “It just felt like the story I had to tell. It was the perfect metaphor for the themes I wanted to explore,” she told IndieWire’s Women In Hollywood section earlier this year. Dead Pigs was shot with a bilingual crew with money from Chinese investors and finished in New York City, with arthouse auteur Jia Zhangke on board as an executive producer. Atlanta’s Zazie Beetz stars, alongside Vivian Wu, Haoyu Yang, Mason Lee, Meng Li, and David Rysdahl. The dark comedy, following a “bumbling pig farmer, a feisty salon owner, a sensitive busboy, an expat architect and a disenchanted rich girl” in a “rapidly-modernizing Shanghai”—all connected by those porcine corpses floating down the river—received positive reviews when it premiered at Sundance this past January. Variety called it a “sprawling, bouncing, jaunty debut” that’s “effervescent as an Alka-Seltzer” and The Hollywood Reporter said it was “delightfully quirky,” both good signs for a director whose next film features the famously kooky Harley Quinn. Yan is now the second woman hired to direct a DCEU blockbuster after Wonder Woman’s Patty Jenkins, and the first Asian woman. In an interview with Bustle, Yan says “there frankly aren’t that many role models out there, especially women of color, especially when I was growing up, especially Asian women,” in the directing world, “and so it kind of wasn’t anything I dreamt or thought about.” Now she’s set to change that, thanks to what Deadline calls an “exceptional” pitch for the film and the support of Robbie, who was adamant that a woman direct the film. The film is still in the process of being written by Christina Hodson, who’s also currently working on the Batgirl script. Margot Robbie—the only actress currently attached to star—is most likely starring in Quentin Tarantino’s Once Upon A Time In Hollywood, after which point Deadline says this movie will go into production. The rest of DC’s Harley Quinn projects, including Suicide Squad 2, are “still under construction,” the trade publication reports. Dead Pigs hasn’t been picked up for distribution yet, so there isn’t a whole lot out there in the way of trailers, but you can watch a clip from the film below.